We now know that both having an afternoon nap, and having segmented night sleep is healthy. It only makes sense then, that borrowing ideas from the best of both worlds can make a better schedule. Segmenting your night sleep into two periods (dusk sleep prepared by natural lighting and graveyard hour sleep) can give you waking time at night. And napping throughout the mornings and days can reduce your overall need for sleep. In some cases schedules with a single core, when positioned late at night (around or after 12am) or early in the morning (3.30am), will create a confusion in sleep repartitioning. These clash with the body’s circadian rhythm. With a natural lighting circadian rhythm, SWS occurs most often in the first half the night and REM in the second. But because the core sleep (best suited for SWS) is placed in the second half of the night, the body will do one of three things. It may try to divide sleep stage priority of the core between SWS and REM, in which future morning naps will be REM (which is good), but SWS is compromised. It may try to prioritize SWS, and future morning naps will be REM (which is good). However, the requirement for early naps will be much stronger and a person will feel bad if they do not get several naps before and around midday. It may try to prioritize REM, and if future morning naps are REM they can become SWS deficient. If future naps are SWS they will suffer from sleep inertia after each nap and feel terrible (unless they have previously repartitioned their SWS to fit into a 20-minute nap, e.g. uberman adaptation). You can see how all these situations have some kind of catch. Having two cores can be a good thing, once adapted. The body can follow the circadian rhythm’s direction of sleep stage division between first half and second half night sleep. One core should be mostly SWS without being compromised, and the second sleep will be mostly REM. The person should not become SWS deprived. They will also have the opportunity to sleep through the graveyard hours. A mild schedule consisting of segmented night sleep and a siesta nap should be easily achievable by most people and will have the benefits of both schedules. This kind of schedule might be easiest achieved if you first adapt to a plain segmented sleep schedule, then later reduce the first or second sleep and add a nap. Dual Core 1 seems to be the most natural sleeping pattern for humans. If you are doing polyphasic sleep for health reasons, or are unsure of where to start, we would urge you to start with segmented sleep. When your two core sleeps stabilize, move to this schedule (DC1). You should aim be getting as much sleep as is comfortable in the morning without losing the ability to nap at midday. This might mean your second core is 1 h, or 1.5h or 2.5h… These graphs, of course, are only examples and your mileage may vary. For those who just want to cut down on total sleep, this is also the most comfortable sleeping pattern to manipulate for less total sleep. Another variant of DC1 that follows the circadian rhythm. 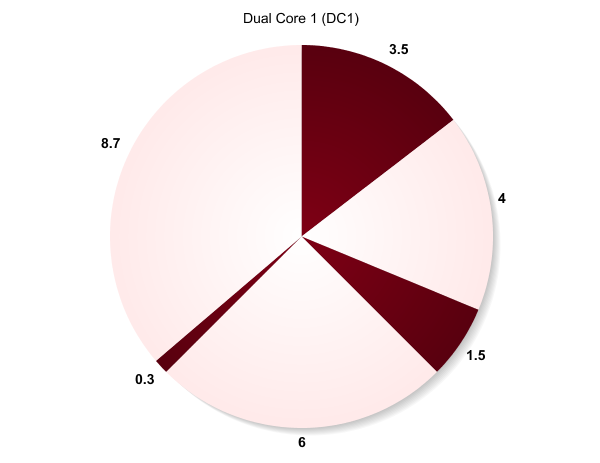 When you are comfortable with DC1 you can attempt to either move to Uberman, Everyman 3 or Dual Core 2 schedules. 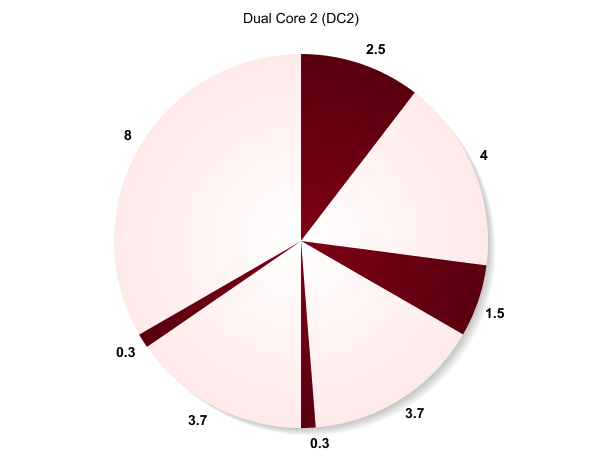 Dual Core 2 (DC2) may feel more like everyman, but with a longer sleep in the mornings. 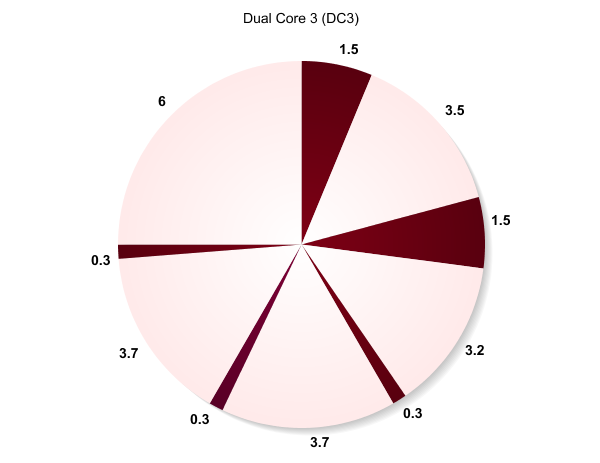 Dual Core 3 has advantages and disadvantages: it can be more healthful than a graveyard-core E3. As discussed in the E3 article, night sleep is important. DC3 can help you get some night sleep without having too much of an obligation in the early hours of the night. The disadvantage is that it may take longer to get used to as there is a larger reduction in overall sleep. And there is no longer core sleep. So SWS repartition may have to occur. We would place this in between E3 and Uberman in terms of difficulty to adapt to. Dual Core 3 with a 2h BRAC and a 4h ultradian rhythm. You might transfer from Uberman to this DC3, keeping three morning naps the same as your Uberman schedule. Because a 2h BRAC and a 4h rhythm is not the only rhythm one can take, here we have a 1.5h BRAC, and a 3h rhythm. You can create your own schedules using this framework. Why 3.5hr and not just 3hr? I’m doing a slightly modded DC1. 1st nap is 3hr, 2nd is 1.5hr, 3rd nap is 1hr inside isolation tank. What do you think of these duration times of naps? This means a 3.5 hour core is more ideal than 3 hour core for most people, as according to most textbook sleepstage charts the second chunk of REM starts just after the 3h mark, and ends just before the 3.5h mark. My name is Tim & tonight starts my 30 days with Dual Core 1. I’m kind of making this up as I go, so any help or feedback would be awesome. I have a video on YouTube with all the details. Check it out! 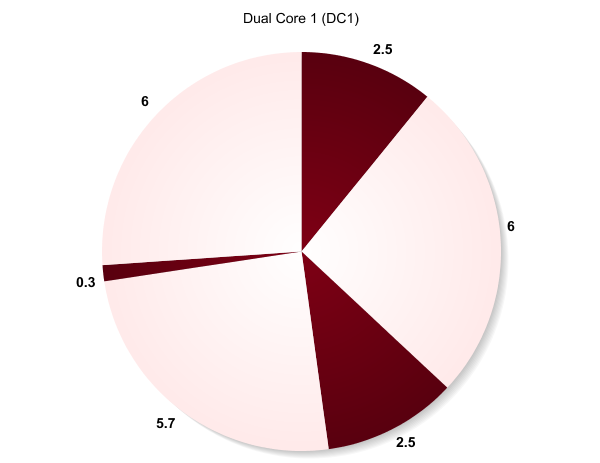 Please write more on Dual Core 3 please. I am doing Dual Core 3 right now. I would like to hear more about optimizing it, REM, SWS, etc. What do you think about DC1 like this? Hi, I work the night shift, from 11pm to 6am, but considering the time for some other activities, I can’t sleep or nap from 10pm to 7am. Is it possible to take any polyphasic schedule, so I can have more time during the day? I was thinking maybe I can do the dual core as follows: sleep from 7am to 9:30am as core 1, nap at 2:30pm, and take the second core from 7:30pm to 10pm. Other variation would be: sleep from 7am to 8:30am as core 1, nap at 2:00pm and the second core from 6:30pm to 10pm. Would any of these schedules be possible without damaging my health? My job is not stressing at all, mainly sitting on a computer, typing and clicking. i suggest the 2nd schedule of yours should work. For the DC1 schedule, how important is the 20 minute mid-day nap? Since I’m in school all day, it would be difficult to find time/place to accomplish this. i am just experimenting a bit with the DC1 and wonder how modifiable the periods are. If would change the waking hours between the cores from 4h to 3h or 2h would it make sense to adjust the waking rhythm before and after the noon nap or wouldn’t it matter. Also would like to know how interchangable the first core is. Would it have much negative effect on the routine if i’d cut or add a cycle of about one hour or so going to bed earlier/ later, and make it a ~ 4.5h or ~2.5h. The DC1 (2nd variant) above just has 23h in it! I am a college student and have a lot of difficulty staying awake during my college time otherwise I am very active. It seems like implementing 1 CORE would solve this. So, I don’t understand it’s always 2 Cores… I tryed DC 3 and it was allright, but I love to have more naps. So, I don’t understand – why it’s always 2 COREs?… I tryed DC 3 and it was allright, but I love to have more naps.